Aficionados from the Marshall Chess Club monitor the Chess Area on the south side of the Fountain Terrace at 6th Avenue. Chess, checkers, backgammon, and Scrabble boards are available for a small fee, weekdays from 11:00am to 7:00pm. 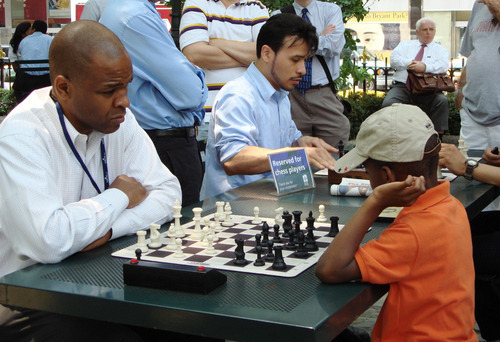 Lessons can be arranged by calling the Marshall Chess Club at (212) 477-3716. Five round, Swiss-System tournament. 20 minutes games. USCF membership not required. Prizes include trophies and memberships to the Marshall Chess Club. Call (212) 477-3716 for more information. A gift to New York City by Southwest Airlines, The Porch offers a comfortable lounge-like atmosphere free and open to all at the southwest corner of Bryant Park. Bring your own snacks or order from ‘wichcraft’s special food and beverage menu from 12:00pm to 9:00pm Monday through Saturday, and 12:00pm to 7:00pm on Sundays. 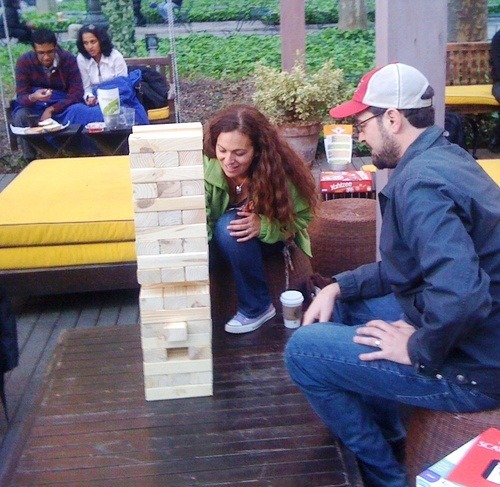 Giant Jenga, Scattergories, Uno, Taboo, and more of your favorite games are available to play, no purchase necessary. 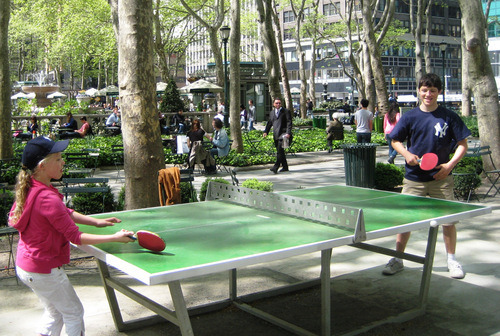 Test your skills at the Bryant Park Ping Pong Court, located near 42nd Street and 6th Avenue. An attendant monitors a sign up sheet from 11:00am to 7:00pm daily for games at our two state of the art ping pong tables. Paddles and balls are provided free of charge, or you may use your own. Call (212) 768-4242 to sign up for one of 32 tournament spots. Earn bragging rights as top dog at the Bryant Park Court.